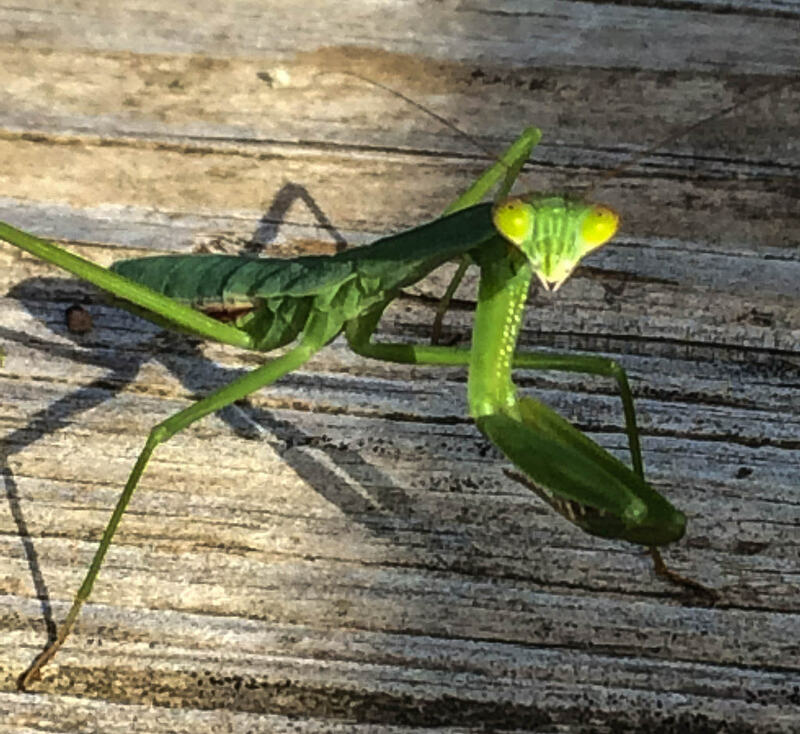 Mantises could appear in St. Petersburg in the next 10-20 years due to rising temperatures. Rising temperatures and improved environmental conditions have made the Russian capital more hospitable for mantises, and locals are taking advantage of the opportunity to pose with the exotic insects. If social media is to be believed, the Russian capital is being invaded by mantises. Muscovites have posted pictures of the green predators on city streets and parks as well as in apartments. Social media users have called the insects “aliens” and used the words "seizure" and "invasion" to describe their presence in the city. Mantises were first spotted in Moscow’s suburbs in 2010. It’s unclear why the insects chose this year to trade the comfort of suburban gardens and vegetable plots for the frenzied rhythm of the big city. According to one theory, the insects were affected by the early summer heat wave that has occurred in Moscow for the past several years. According to another – the capital is now greener and is producing a food source for the mantises. "In Moscow, the environment has improved and, most likely, they stopped treating the forests for pests," entomologist Vladimir Yefremenko told (in Russian) the Metro newspaper. "As a result, a lot of beetles and other small insects appeared in the city, so mantises have something to eat. This created the conditions for their appearance and reproduction in the city." Yefremenko refused to call the phenomenon an "invasion,” however. "An 'invasion' can be staged by plant-eating locusts, pests. But mantises are very useful. They destroy the parasites that birds cannot cope with," he said. Mantises are not dangerous for humans, although their front legs have spikes that can cause an unpleasant prick. Entomologist Yevgeny Shcherbakov says that mantises could appear in St. Petersburg in the next 10-20 years due to rising temperatures, so residents of the northern capital may also have the opportunity to take a selfie with a mantis — if they are brave enough to try it.